I love capturing candid shots of kids at weddings. 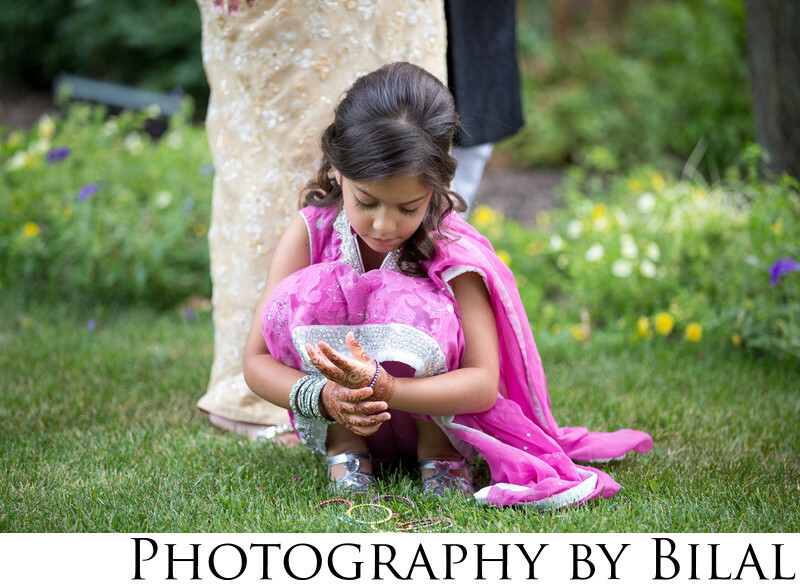 This photograph was a purely candid shot, i noticed the girl putting on her bangles and immediately took a few shots. Location: 200 Huguenot Ave, Staten Island, NY 10312.